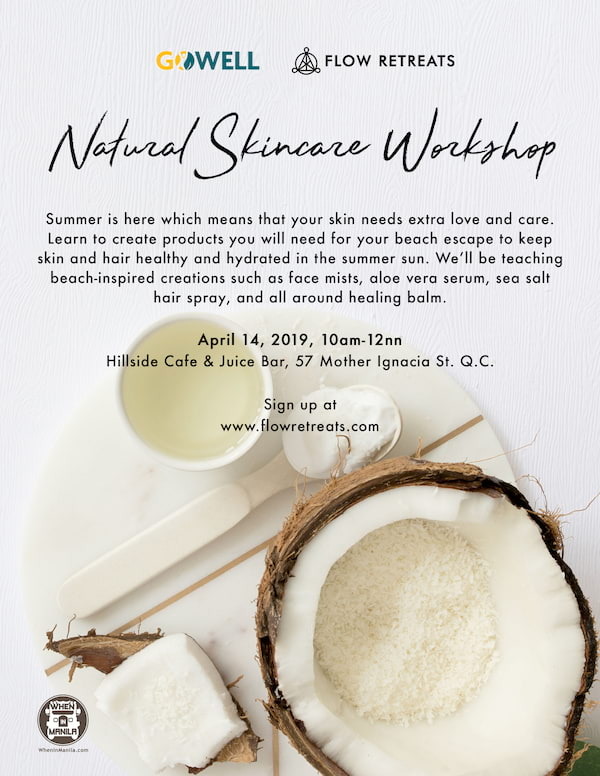 Learn to create products you will need for your beach escape to keep skin and even your hair healthy and hydrated in the summer sun at the Natural Skincare Workshop on April 14, 2019 10am at Hillside Café & Juice Bar QC. When you use plant-based ingredients for skincare, you are also getting the nourishing benefits from the sun and soil. Summer is here which means that your skin needs extra care and healing and natural skincare is the best way to get your skin nourished. We’ll be teaching beach-inspired creations such as face mists, aloe vera serum, sea salt hair spray, and all around healing balm. Find out ways on how to keep your skin radiant this summer and as a bonus, learn facial massage techniques!